Phil Hanson suffered heartache in the Le Mans 24 Hours that finished this afternoon (17 Jun). 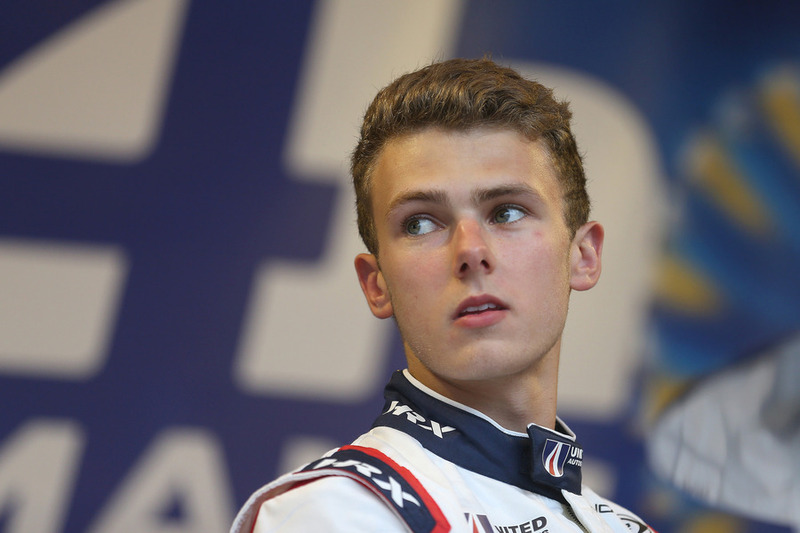 The British teenager, who became the youngest overall finisher in the 94-year history of the annual Le Mans race on his début last year by placing 11th, had looked set to record a top-four LMP2 category result – and a top-10 overall placing – in this year’s French race. But his United Autosports entered Ligier JSP217 he shared with Filipe Albuquerque (POR) and Paul Di Resta (GB) suffered major damage when Di Resta crashed out of fourth place with less than five hours to run. London-based Phil was the youngest driver in this year’s race that attracted 180 drivers. The Hanson/Albuquerque/Di Resta #22 Ligier started the twice around the clock race at 3pm yesterday afternoon having achieved the eighth fastest time in the 20-car LMP2 class after six-hours of qualifying on Wednesday and Thursday evenings. Albuquerque ran just inside the top-10 with Hanson climbing behind the wheel for the first time just before 5pm but frustratingly spent almost seven-minutes in the pits before he took to the track after GPS repairs on the #22 Ligier and dropping to 16th, crucially two laps down. Phil completed a 3hr plus, 43-lap stint, climbing out of the car at 8pm in 12thplace. 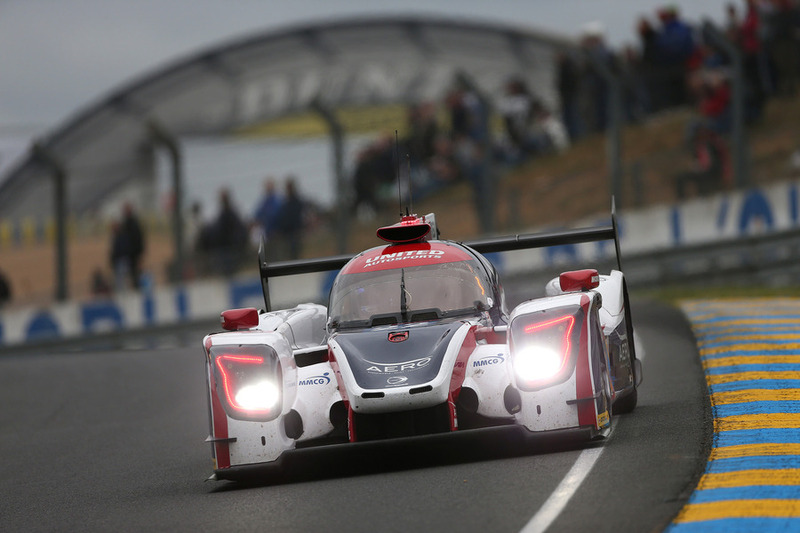 After further stints by Le Mans débutant Di Resta plus Albuquerque, Hanson was back in the Ligier just after 1am and ticked off 40-laps with a 2.5hr stint and now placed eighth. At mid-distance, the #22 lay eighth while Albuquerque ran fifth before handing the car back over to Phil at 8.32am this morning for another solid 10-lap job and now challenged for fourth place. Di Resta, who had taken over from Hanson at 9.09am moved into fourth with a little over five hours remaining but at 10.01am, the Scotsman crashed heavily at the Porsche Curves, ending the #22 Ligier’s race. Hanson’s next race is the Tequila Patrón North American Endurance Cup event at Watkins Glen next month (1 July) before returning to European Le Mans Series action at the Red Bull Ring in Austria (22 July). I’m absolutely gutted as a podium finish was definitely achievable. Both Filipe and Paul were doing a really good job throughout the race to get back our time. No blame on Paul whatsoever, we were all pushing hard in maximum attack. There were numerous red flag stoppages, slow zones, yellows in practice and qualifying but by Thursday evening’s sessions, my confidence was up. Filipe produced a good lap on Wednesday which was initially good enough for sixth fastest but we were bumped back a couple of positions the following day when we mainly concentrated on race set-up. I took over from Filipe who started the race and ran consistently inside the top-10, pitting in sixth, but I had to sit in the car for a long time as the mechanics worked on repairing the car’s GPS which cost us a load of places. My opening stints were a bit messy and ragged and I couldn’t get in to a proper rhythm due to interruptions caused by two Safety Car periods and slow zones. I also survived contact with another car causing me to a spin when the driver got caught out with his braking. My night stints went well with the Ligier well hooked up and I managed to close the gap to the cars ahead. I did a single stint this morning and it was fine out there, managing to bring down the gap to the fourth-placed car. Paul had just got ahead and in to fourth but then lost it at the very fast Indianapolis section. Hugely disappointing but motor racing and this race especially can be like that.